Why does Australia have an Australian Values Statement? If you want to live in Australia, the Australian government believes it is in everyone’s best interest that you become part of the Australian society as soon as possible. The Australian Values Statement encourages you to learn as much as you can about your new country, its heritage, language, customs, values and way of life. I have lodged my visa application, but things have changed. How do I update my application? If you have already lodged your visa application, and the Australian immigration authorities have not made a decision, you can complete a form to update your information. > you have a child. Designated areas of Australia include all of the Australian Capital Territory and all of the Northern Territory. It includes all of the states of South Australia, Tasmania, Victoria and Western Australia. It includes some postcodes in the states of New South Wales and Queensland. What should I do if my relationship ends? > your spouse or de facto partner has died. You could also apply for a permanent visa if your relationship ended and you have been granted custody of, or access to, any children of your relationship. Can I add a family member after I have lodged my visa application? 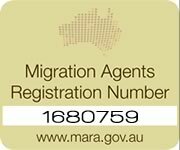 If the Australian immigration authorities have not yet made a decision on your application, you can add a family member by completing the appropriate form. Any person or agency recognised by the law of the country in which you live can certify documents. All Australian immigration offices outside Australia have a person who can certify or witness documents. You might have to pay for this service. An eVisa or label-less visa, is a visa issued without a physical label. If you are issued an eVisa, you will get a visa approval notification containing all the details of your visa, including the visa start and expiry dates and any travel conditions. It is important that you keep this visa approval notification in a safe place and carry it with you when you travel. How do I transfer my visa to a new passport? If you have renewed your passport, because it has expired, was lost/stolen or your name has changed, you will need to transfer your valid visa into your new passport as soon as possible. There is a form available for this purpose. Do I need to transfer a label-less visa or e-visa to a new passport? Yes, you do. Working Holiday Visas, e-visas and other label-less visas that have been issued electronically – without a label – are recorded against the passport number at the time of your application. If you then have a new passport issued, you must inform Immigration NZ, so that your records can be updated, and you can continue to use the label-less visa for your travel to and from New Zealand. The process for label-less visa is generally the same as the process advised below, except you are not required to pay an application fee and instead of the application form, you can write a request letter stating your identity, contact details and outlining your visa transfer request. Can I work while I am on a student visa? International students have several opportunities to gain work experience and supplement their funds while studying. Under certain circumstances, student visa holders may work part-time, and/or full-time during scheduled vacations or to meet course requirements for practical work experience. It may also be possible for students to work in New Zealand after they have completed their studies. Both of these visas allow you the same privilege of living permanently in New Zealand, but they provide you with different travel conditions. Your resident visa will allow you to travel in and out of New Zealand as a resident for a specified period of time only – usually 24 months. Once this time period concludes, your next step is to apply for a permanent resident visa -PRV, which will have no time limit on your travel conditions – meaning, you are able to travel in and out of New Zealand as a resident at any time, as long as you have the permanent resident visa in your valid passport. There are several work categories available that may be appropriate to your needs. Here is a brief outline of the main categories. Please note that the Working holiday program is not open to South African passport holders. This program is only available to selected countries that have a reciprocal agreement with New Zealand for a Working Holiday Scheme. Applicants must be citizens of those countries and aged between 18 and 30. There are also additional requirements for each of the selected countries that you must meet. A job offer is not required for this application. If you are living with a New Zealand citizen or resident in a stable and genuine relationship, you may qualify for this type of work visa if your partner has a job offer first. This type of application requires a job offer from a NZ employer and the process will centre around the nature of the job, your work experience, qualifications and the supporting information from your NZ employer. This application requires a job offer from a NZ employer. This type of application is most suited for specialised type of work such as entertainers, performing artists, film crew, sports coaches and players, pastors and missionaries, business investors, etc. This application application requires a job offer from a NZ employer. If you have an exceptional talent in the arts, cultural or sports fields, or are qualified in a specialised or in-demand occupation, this work visa may be your path to residence in New Zealand. 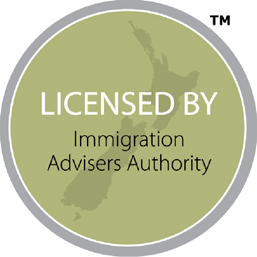 For more information on the immigration New Zealand / Australia process and services, <a href=”/contact-us/”>contact us</a>.